In yesterday's post, I looked forward to the future of Pixar merchandise as I gave you a look at my first ever piece of Coco merch and shared with you my excitement for the film. 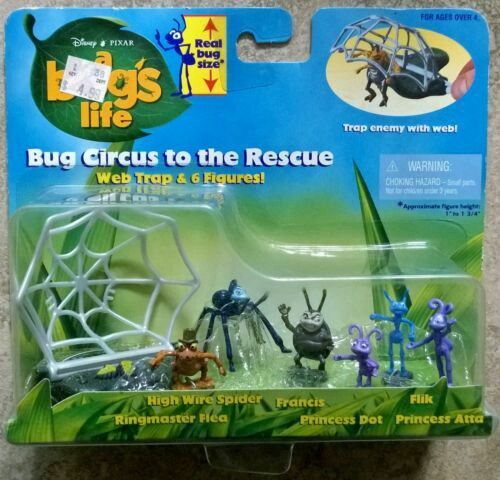 Today, for "Throwback Thursday", I'm going back in time to 1998 and taking a look at a classic Mattel A Bug's Life figure set called "Big Top Bugs"! 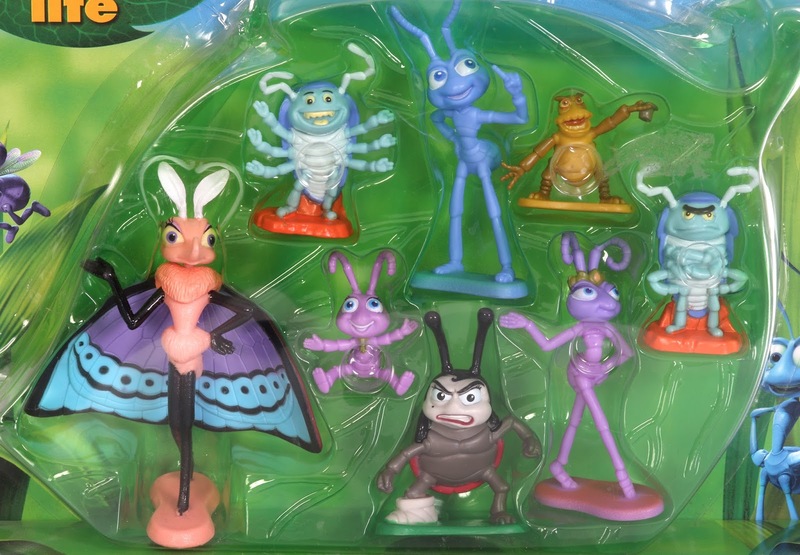 When A Bug's Life toys from Mattel hit store shelves back in the day, there were essentially four styles of figures you could collect. First, there was the regular "main line" action figures with accessories and action features (roughly 6" in size). Secondly, and as seen on the back of this package below, there was a collection of soft, poseable figures called "Bend-eez" (which were a tad smaller than the main action figures). For more on both of those collections, check out my post from years ago HERE. Thirdly, there was an assortment of "bug size" tiny figures and pop open playsets in the same vein as micro machines or Polly Pockets (I didn't collect those, but you can few an example HERE). 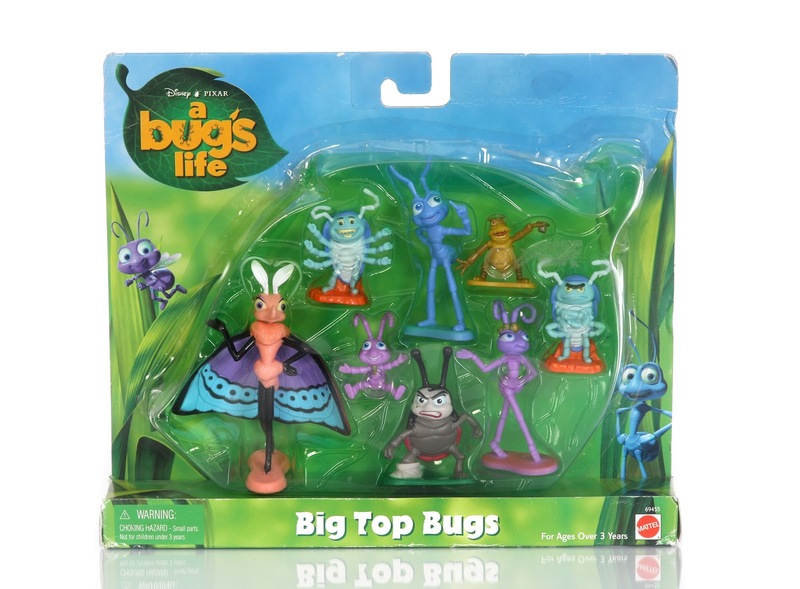 Lastly, there was this figure pack called "Big Top Bugs" featuring eight PVC plastic, non-poseable characters with bases (comparable to cake toppers); about 2-4" in size. Interestingly, this series/ style of figures never expanded past this gift set. No single packs, no additional characters, no nothin'. I never had this set growing up, but I had to track it down on eBay recently for two reasons: Gypsy and Francis with cast! Other than her inclusion in the tiny micro collection I mentioned, there are no other Gypsy related toys, plush, figures or collectibles out there (from what I could find). This is literally one of only two items ever produced of this character. Where's the love? I'm so happy I finally have her represented in my collection. Francis with cast is another cool and unique figure. I didn't have anything like that, so that was a bonus with this set for me. 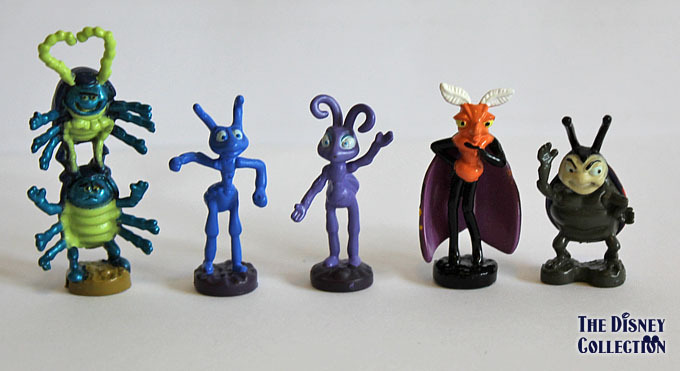 The other figures (Flik, Tuck, Roll, PT Flea, Princess Atta and Dot) are no doubt cool and will look great on display, but they are characters I have in other forms. 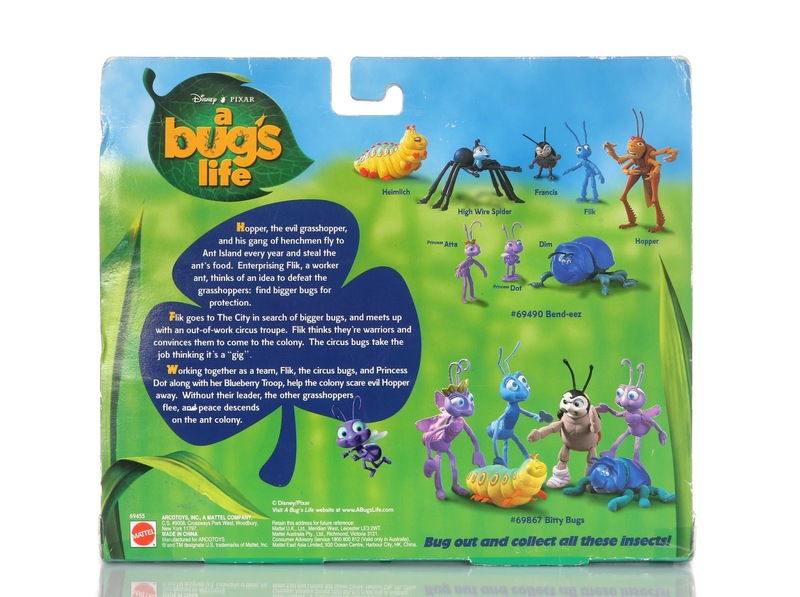 Though now that I think of it, I actually don't have any A Bug's Life figures quite like this. This is honestly a pretty rare gift pack and is decently hard to track down. It does pop up on eBay once in a while though and I was lucky to grab it a couple weeks back. Keep checking periodically if you're interested! I paid $35, which isn't bad considering I've seen Gypsy alone [loose] go for even more than that. I'd love to hear your thoughts on this set. Did you purchase this set back when it came out? Maybe seeing this set even brings back some childhood memories. What do you think of the lack of Gypsy merchandise out there? Do you know of anything out there of her that I didn't mention? Let me know what you're thinking in the comments below!